1. If both Real Madrid and Barcelona advance into the final, this will be the first “El Clasico” in the final of Champions League. Furthermore, any of the teams that advances to the finals will play against each other in the finals for the first time! 2. 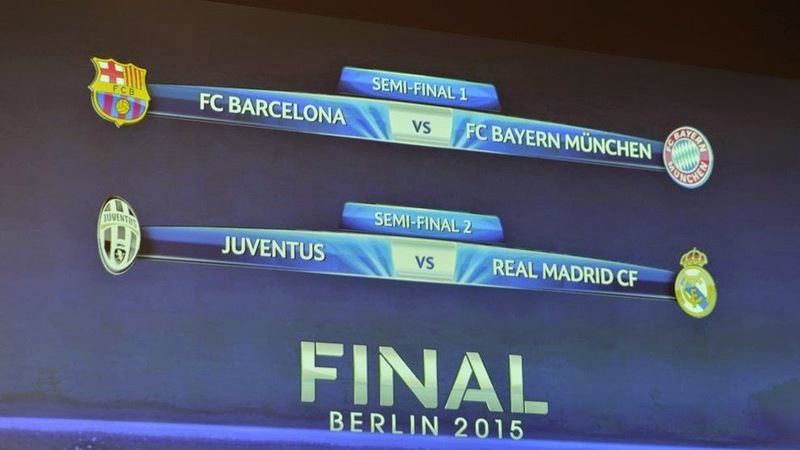 Both Guardiola and Ancelotti are going to face their old clubs in semi-finals. Ancelotti was in charge of the Juventus team in between 1999 and 2001. 3. Family affair - Thiago Alcantara, who transferred from Barca to Bayern is going to play against his brother, Rafinha. 4. The defeat Barcelona suffered in the game against Bayern (Bayern won 4:0) was their biggest in Champions League. The interesting thing is that Bayern lost in a game against Barcelona 4:0, which is also their biggest defeat in the Champions League. 5. Since 1987, Real Madrid didn’t win a two-legged tie against Italian team, although they took four points from Juventus last year and beat them in the final in 1998 with a goal that was scored by Predrag Mijatovic.